Like so many other parts of life, the rapid rise of technology has totally transformed the way in which we travel. While journeying to a far-off land used to be frightening and mysterious, nowadays we can find so much information online that a lot of the worry has been taken out of it. 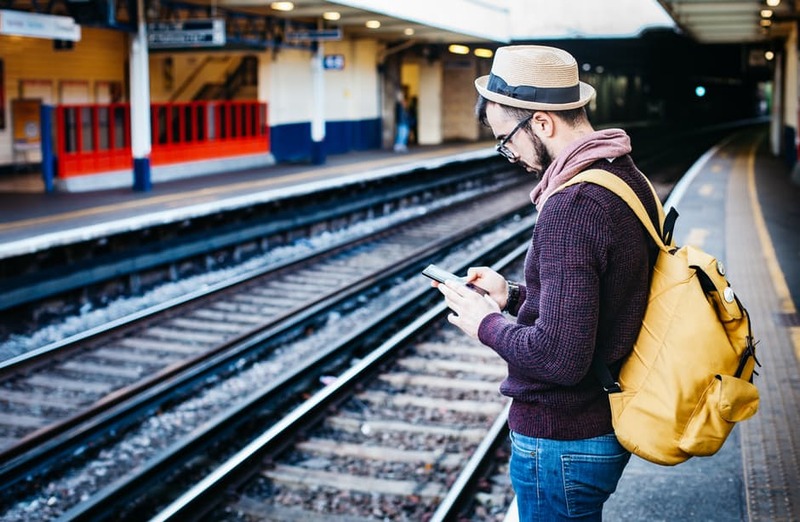 We often take for granted the power of the smartphones that we all carry around these days, but they can make all the difference when it comes to researching the area, booking flights and accommodation, and navigating your way around. So, let’s take a look at the ways in which we travel have totally changed in the last 20 years. In the past, you may have been inspired by flicking through photos of your friends’ most recent trip, or even seeing them up on a projector if they were really fancy! Nowadays, travel inspiration can come from absolutely everywhere. With such a wealth of inspiration online, you could find your next holiday destination when you least expect it. Of course, you may still be inspired by your friends’ photos, but now all of them have a social platform to post them up on the same place so you can really be filled with wanderlust. In days gone by, booking the trip will probably have involved a trip to your local travel agent to let them do most of the hard work for you. If you didn’t want to do this, you would have to research specific hotels, phone them up yourself, and then take a trip to the train station or airport to actually book your travel. Technology has allowed you to do all this yourself, and you can also compare different costs at the touch of a button and get travel coupons through websites such as DontPayFull.com. With the rise of the smartphone and the increasing speed of the internet, you can book an entire trip while sitting in your favourite coffee shop! Speaking to someone who had already been to the destination or getting your hands on a travel guide were your only ways of finding out about a place before you actually visit. And while both of these methods are still popular these days, you can now find a wealth of information online. Rather than risking the information you have becoming out of date, you can now find up to the minute tips, as well as reading through a host of information that gives you a much better idea of what to expect when you visit places. Gone are the days when you would have to buy reels of film for your camera, take your pictures to be developed when you get home and find that you had your finger over the lens on half of them! Smartphone cameras continue getting better and better with each new model that comes out, meaning that it is easy to take hundreds of pictures and instantly upload them to the cloud so there is no risk of losing them all. Though we have made an amazing amount of progress, it is sometimes still nice to put your phone away and actually appreciate the place you are for a while. Staying in touch with other people while travelling used to involve sending postcards or letters if you were staying away for a particularly significant length of time. Maybe you might stretch your budget to make a long distance phone call. Nowadays, we think absolutely nothing about firing off messages to our friends and family who live on the other side of the world…for free! You can even speak to them face to face using services like Skype. Sometimes, it is worth taking a step back to appreciate how truly incredible this is. Navigating your way around a foreign land used to involve thumbing through a well-worn atlas and frequent arguments about whether you were going in the right direction or not. Thanks to satnavs, all of the hard work is done for us, so all you have to do is worry about following directions. When you are walking around a place, you can even get offline maps that guide you around with minimal fuss. Instead of flicking through a phrasebook to work out how you can make yourself understood, you can interact with the locals by using apps like Google Translate or iTranslate. Say goodbye to awkward gesturing and blank faces!